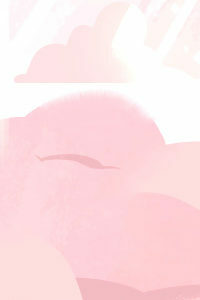 After Lion 4: Alternate Ending aired we wondered whether the ship at Rose’s desert trash dump, the ship that was most certainly Pink Diamond’s ship, was an arm or a pair of legs. 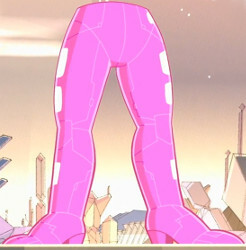 Well, now that Legs From Here to Homeworld has aired we have our answer: Pink Diamond had a leg ship. 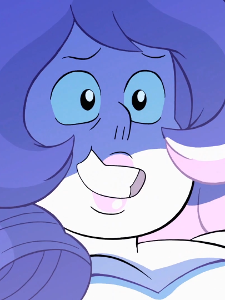 Be honest, it was foreshadowed pretty heavily. 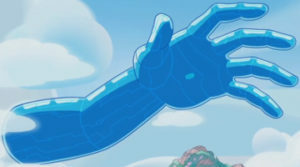 For a while we’ve been baffled about how very fallible Garnet’s future vision has been presented in some cases and how very effective it’s been in others—see Future Boy Zoltron for an example of her displaying a masterful command over her future vision, for instance. Question: Is the ship from Lion 4 an arm or a pair of legs? It’s the question on everyone’s mind. (Alright, maybe not everyone, but people have certainly noticed and brought it up.) This is, of course, assuming that it’s a ship. Still, let’s go ahead and make that assumption. After Storm in the Room we know more than ever about how Rose’s room works, but we also learned that it’s still a huge mystery to us. 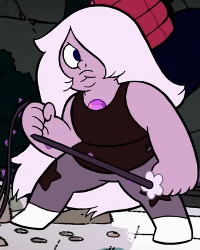 Question: How strong is Amethyst? 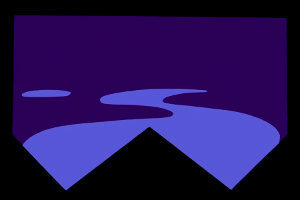 Amethyst started the series as the least effective warrior of the Crystal Gems: far weaker than Garnet, she seemed to have a knack for using her whip to place herself or the team in danger, and little else. 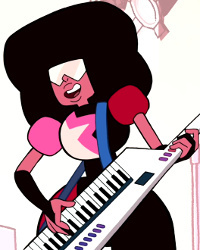 After Reformed she started fighting quite a bit smarter, but what is her potential for raw power? 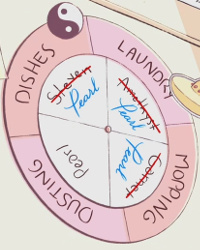 While it was eventually a win for following the clues, the path to figuring out the purpose of Pearls wasn’t without its red herrings. 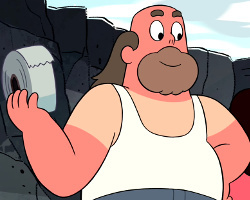 Question: What repaired the Geode? The ending of House Guest is quite difficult to interpret: Steven tries to repair the Geode with his healing saliva, and despite his regained confidence he fails. However there is no need to fear, as Greg quickly saves the day with a complex human tool: high-quality duct tape!